Those who explore distant lands or travel the world for work are always thankful for accessories that make their holiday or business trip more comfortable. If you work in the tourism industry, it is a good idea to select “travel-related” promotional gifts and pass them out to your customers, business partners and employees. This ensures that your promotional message is carried to the far corners of the world, where a large number of people will hear about your products and services. The best way to present your company’s message is to give promotional items that are both practical and fun to existing and prospective customers whenever the opportunity arises. In addition to promotional items from the “Travel & Holiday” category, a number of traditional promotional gifts also make a great choice. You could opt for promotional pens as a way of raising your profile and that of your advertising partners in the travel sector. Or you might consider powerbanks that quickly recharge mobile devices while travelling, or USB-sticks. They are always popular among business travellers. To make sure your customers and business partners immediately associate these travel-related promotional gifts with your company, it is important to personalise them with your company logo, advertising slogan or unique message. To make them even more recognisable, choose colours that match your corporate design – the products will instantly remind people of your services. In our shop, you can select your promotional gift and personalise it using our configurator. If you need inspiration, it’s worth having a look at the various categories, where you’ll find examples of items customised by real companies. If you have any questions about choosing and designing suitable promotional gifts for travel and holidays, our trained consultants will be happy to help and advise you. 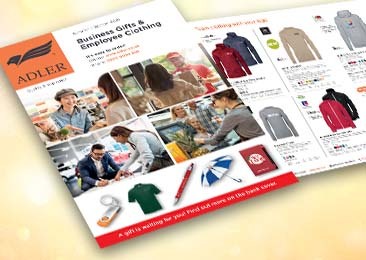 Promotional holiday items allow you to reach a wide range of people because most of them can be used every day, even when no holiday is on the horizon. For example, commuters could use the accessories on their way to work each day, while others might use the items in their leisure time. Your products are seen “on the go” by countless people, raising the profile of your brand. With holiday items in particular, your customers will associate a positive experience with your company, which strengthens business relationships. You create added value for your customers, which inspires trust in your company. Travel and holiday items can also be used in a range of everyday situations, providing all-year-round visibility for your advertising message. People who travel a lot and work on the road are always meeting new, potential customers. It is thus highly important that you personalise your promotional items for travel and holiday, and give them to customers, staff and business partners. This will help strengthen your market position long-term and keep your advertising message at the forefront of potential customers’ minds.